E is for Explore! 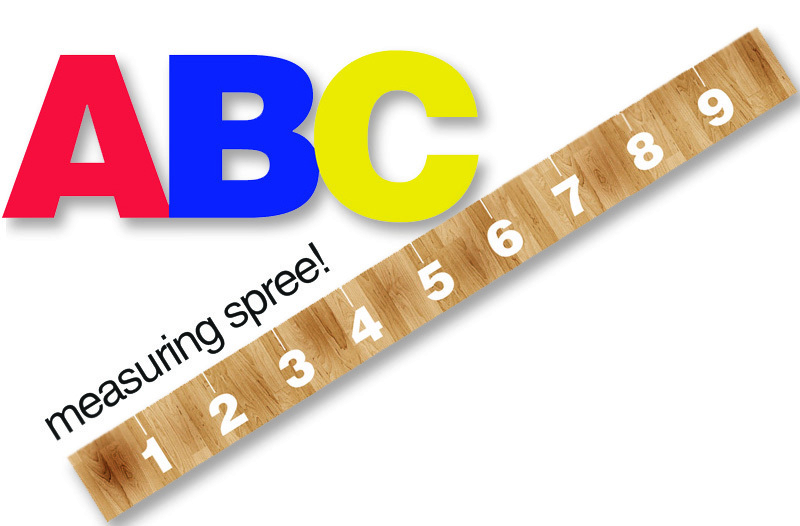 : ABC Measuring Spree! Go on an ABC measuring spree around the classroom or your home with a ruler (or a tape measurer) and a yard stick. Split kids up into groups, and have each group in charge of certain letters. Can you find something for each letter of the alphabet?! Measure things in different increments: centimeters, inches, yards, feet. Practice making conversions with older kids. Write down your findings and compare! When looking for letters, think about brand names, classmates' names, book titles, etc. for hard to find letters. Other measuring games you could play include: shape, color, book, furniture, or lunch - get creative! Kids love scavenger hunts. A measuring challenge makes measuring fun!